New adventures await! Today I donned my metal wings and soared across the country to Las Vegas and Planet Hollywood where the Miss America Pageant is held. And there I will launch the product of the last two years of my life – Pretty Smart: Lessons from our Miss Americas. How fun is that! The week is sure to be full of new adventures. Two years ago when I went off to the Pageant in search of former Miss America sightings and, hoping to make contact, I was just a face in the crowd. This year, I’ve been welcomed into the fold. I’ll be speaking to a large group of state and local Miss America directors, doing book signings and speaking to the press. Stay tuned for lots of inside information! It was a snowy trip to the Miss New Hampshire Tea Party but a great day! There were dozens of DELICIOUS desserts to enjoy while watching some of the incredibly talented women of the Miss New Hampshire Organization. It was also so great to talk and dance with some special guests like Emilee and Brooke Mills (Emilee a former little sister queen of mine!). I’m off to Las Vegas tomorrow morning at 5am so be sure to stay tuned for Miss America LIVE updates! A former Miss USA – who’s since made a name in soap operas and sitcoms – is raising eyebrows with a racy career change. But after her character was killed off in a freak train explosion in 2006, McCarty apparently left daytime television to play an onscreen lady of the night. The actress and ex-beauty queen has just completed work on a pornographic film titled “Faithless,” according to TMZ.com. Actress Kelli McCarty arrives at the inaugural ‘Design A Cure’ charity event benefiting Cedars-Sinai Women’s Cancer Research Institute, held at a private estate on. Today’s podcast episode may be found here. It is in .mp3 format, meaning you should be able to import it into most iPods and .mp3 players. You can also listen online, but it’s better that you download so you can listen at your leisure. 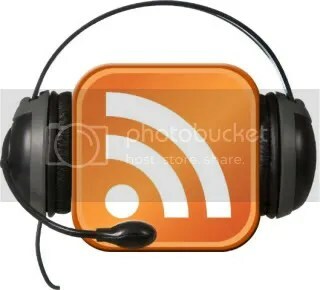 Got any suggestions for the podcast, or the blog? E-mail pageantude@gmail.com with your ideas! Blair is in the middle, in the zebra stripes. Blair is is the upper right, waving. Blair is in the lower right corner, in red. 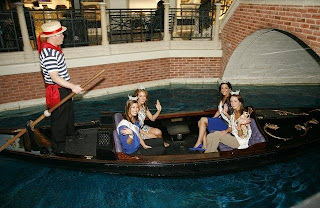 On Monday evening, 52 exquisite Miss America Pageant Contestants enjoyed “The Music of the Night” at Phantom – The Las Vegas Spectacular at The Venetian Resort-Hotel-Casino. After the performance they had the opportunity to meet and take photos with the lead cast members Andrew Ragone (Raoul), Kristi Holden (Christine) and Tony-Award Winner Anthony Crivello (The Phantom) inside the famed Phantom Theatre. The contestants, many of them performers themselves, were enthralled by the production and the show was a highlight for them.